The article reveals scientific trends in the study of high-tech processes in the territories. It substantiates the advantages and disadvantages of existing approaches. 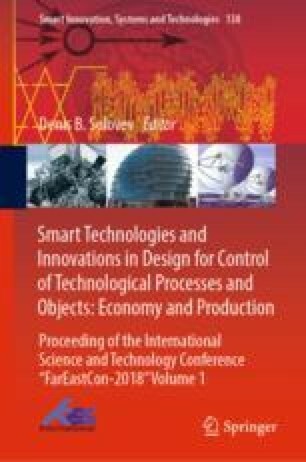 The author proposes and tests the methodology for diagnosing the level of innovative resource potential of the Russian territories. On the basis of official statistics, there are made calculations of current, average and dynamic results of developing regions and federal district. There is constructed the model of distributing the Russian Federation territories in the main components space on a complex of innovation-resource indicators. There is given the values dispersion estimation of the most important indicators for a long period of time. There is revealed the interrelation between economic and infrastructural factors. There are investigated the threats of the state strong interregional imbalances. There are grounded the priority directions of developing depressed areas in the Russian Federation. There are defined the possibilities of applying the developed methodical approach for scientific, educational and power structures.